The Irrawaddy revisits this article from the run-up to the landmark 2015 election. On the second anniversary of Myanmar’s 2015 democratic election, The Irrawaddy revisits this article from the run-up to that landmark election. In this article from The Irrawaddy’s August 2015 issue, contesting parties shared their expectations, challenges and views on the military allotment of 25 percent in Parliament. Founded in 1988, Myanmar’s largest opposition party led by Daw Aung San Suu Kyi won more than 80 percent of seats in the 1990 general election—the results of which were annulled by the ruling junta. The NLD boycotted the country’s last general election in 2010 but participated in 2012 by-elections, winning 43 of the 44 seats it contested. Formed in 2010 as the political arm of the former military regime, the USDP won a parliamentary majority in that year’s widely discredited general election. 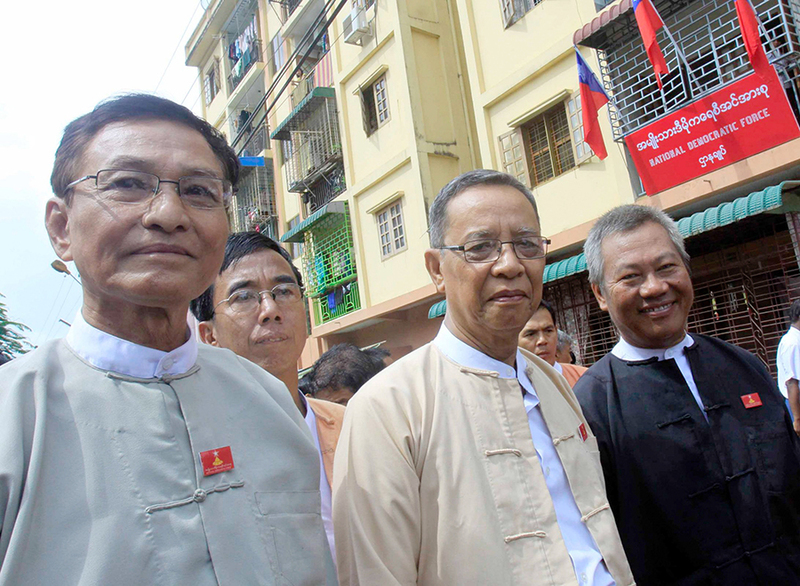 The USDP will contest constituencies nationwide in the coming election, with Union Parliament Speaker U Shwe Mann heading the party’s Elections Winning Committee. “The Union Election Commission has released preliminary eligible voter lists and is fixing the flaws. Each party is trying to win and some may merge or form alliances. New parties have also been founded. So this year’s election will be the [most] significant election in the country’s history. “Some parties are speaking about constitutional amendments. The main thing in a democracy is to follow the existing rules. The most important thing is the country’s stability. Politicians generally use either students, workers or farmers [for political ends]. If some parties or groups use them for their benefit, it won’t be good for the country. 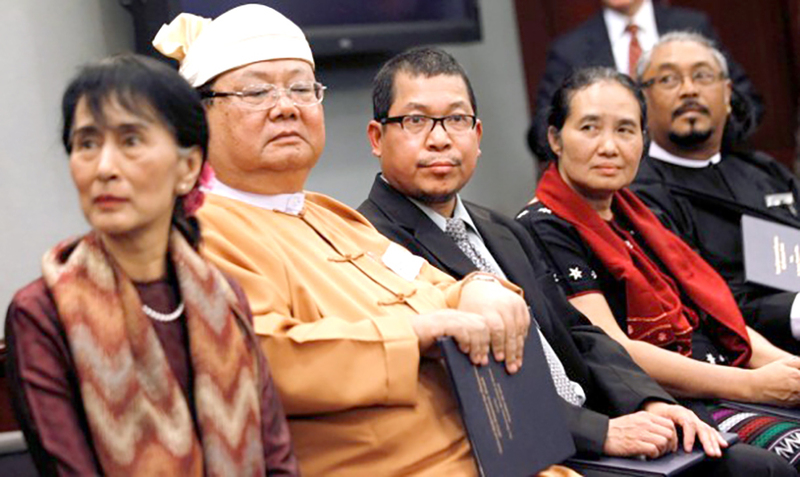 The NDF is comprised of former leading members of the NLD who disagreed with the party’s decision to boycott Myanmar’s last general election in 2010. The NDF contested 161 seats in that poll, winning 12 seats in the Union Parliament and four seats in state and regional legislatures. The party plans to field nearly 300 candidates to contest the upcoming national election. ANP formed in January 2014 following a merger between the Rakhine National Development Party (RNDP) and the Arakan League for Democracy (ALD). The former party won 35 of 44 seats it contested in the 2010 election, which the ALD boycotted. 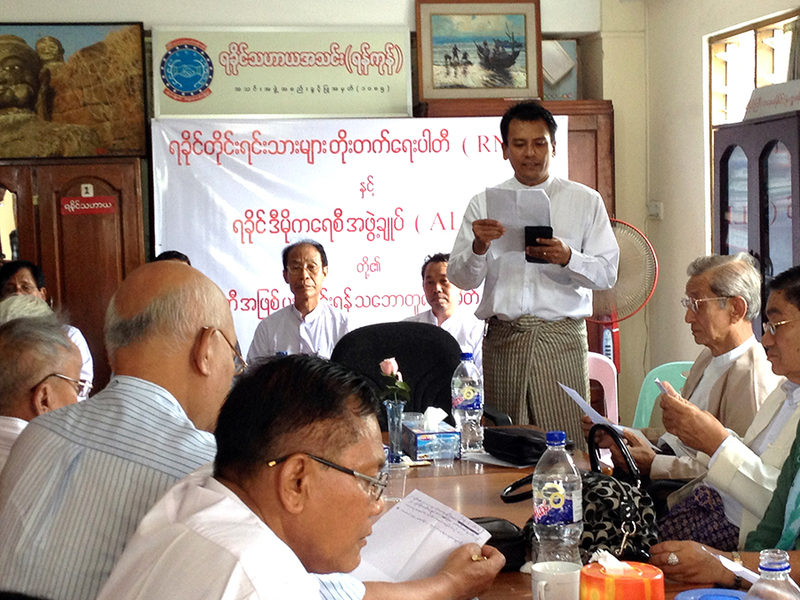 The party plans to contest 63 seats in the coming election, mainly in the regional Rakhine State legislature. The SNLD won 23 seats in the annulled 1990 election. It was forcibly disbanded after boycotting the 2010 poll but re-registered in 2012 and plans to contest more than 160 seats in the coming national election. “If democratic forces win most seats in the election, we will have hope for constitutional amendments. To have the federal union that ethnics demand and the democracy that the public wants, the main challenge is to change the Constitution. “I think this year’s election is more important than the 2010 election because at that time some parties were excluded and there were many parties, especially ethnic parties, that didn’t run for various reasons. But in the 2015 election, I hope almost all ethnic parties will run. “I’m not sure that the election will be free and fair. Even in the preliminary voter lists, there are lots of errors. Although the electoral body is saying they will fix all the errors in time, we can’t predict what will happen. “We are doing voter education, verifying voter lists to correct errors and are raising awareness among all eligible voters to come to the polling stations and cast votes. This article was originally published as the cover story of the August 2015 issue of The Irrawaddy magazine.